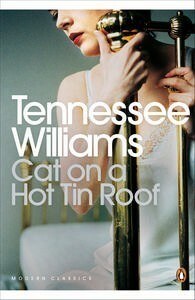 A Literary Odyssey: Book 150: Cat on a Hot Tin Roof by Tennessee Williams. As a theatre/English lit double major, I read a lot of plays. I agree that plays are best read and seen. You understand a lot from reading a script, but you can only get the full effect from seeing it onstage. Streetcar is great - I hope you enjoy it! Have you seen the movie w Elizabeth Taylor & Paul Newman?! It's one of my fave movies *ever*. And not just because the eye candy is mind boggling. This is a play I intend to read this year, and this review makes me look forward to it even more. It sounds fantastic. I've been intending to read this for quite some time. It's such a classic. I've read other Tennessee Williams plays and feel so-so about him. I may have to take a chance on this one. I didn't make it to this one during the readathon, but it's still on my must list for this year. Williams' is so talented at painting pictures of family angst.